Inspired by and designed in London, Hook LDN is a British eyewear brand that specialises in creating high quality, style led designs that are influenced by our passions for music and fashion. Rock the Hook LDN look with our collaboration HB3 Hoodie. The Hook LDN hooded sweatshirt features an integrated HB3 headphone with mic patented technology. Plug your phone or mp3 into the coiled auxiliary cord for easy listening on the go. Stylish and functional, the HB3 Hoodie offers the next generation of streetwear with premium casual wear that blends fashion with technology. 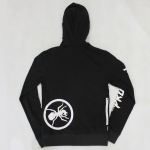 The Hook LDN HoodieBuddie collaboration hoodie is available online from the Hook LDN website. 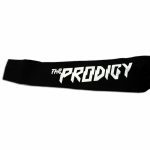 The Prodigy have collaborated with HoodieBuddie to create a limited edition of 300 wearable tech hoodies with built in earphones & microphone which is all machine washable. 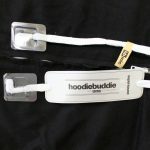 Using patented hb3 technology, the HoodieBuddie contains a standard headphone jack in the side pocket, which once plugged in to a compatible phone or mp3 player plays audio through the headphones which are built into the end of the drawstring. 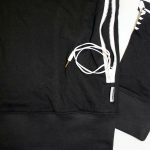 The microphone built into the drawstring also allows for voicecalls on the go and functions as a volume controller too. 100% machine washable (Cold, 30 degrees). 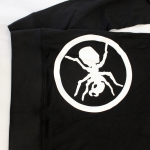 Hoodie made of 80% cotton 20% poly.